Jacques is a consultant microbiologist at a large teaching hospital (CWZ) and a honorary consultant at Radboudumc (Nijmegen, The Netherlands ). Next to a MD degree he holds a PhD in Science, is a board certified medical specialist in the Netherlands and is elected Fellow of the Infectious Diseases Society of America, the Royal College of Pathology (UK) and the American Academy of Microbiology. 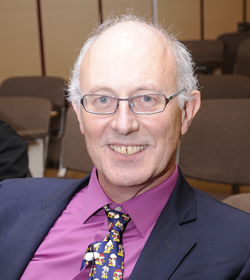 He is Past-President of the Dutch Society for Medical Mycology, Past-President of the European Confederation of Medical Mycology and Past-Chairman of the External Quality Control Program in Bacteriology and Mycology in the Netherlands. In addition to being senior Editor of Mycoses, he is voting member on the CLSI Subcommittee on Antifungal Susceptibility Testing in the USA. He is (co)author of > 350 peer reviewed publications. His research focuses on diagnosis, treatment, molecular typing and antifungal susceptibility of Aspergillus, Cryptococcus and other rare filamentous fungi. He is member of the British, German and Dutch Societies for Mycology and the International Society of Human and Animal Mycology. Personal comment on the major needs in Netherlands which GAFFI should be addressing: The major need in the Netherlands is to control the increasing prevalence of azole resistant Aspergillus fumigatus both as clinical infection and environmental presence.